Research firm IDC says that tablet shipments have slowed down this quarter due to absence of a new iPad. According to a new IDC report Q2 tablet sales have dropped down due to lack of a new Apple iPad. The IDC report states that there has been a 60 percent increase in tablet sales compared with last year. IDC adds that nearly 45.1 million tablets were shipped in the second quarter of 2013 which is down by 9.7 percent compared with the Q1. The report adds that Apple has started launching its new iPad in Q3 instead of Q2 and this may be the reason of the declining tablet sales. Apple's market share in tablets has fell to 33 percent from 60 percent a year ago whereas there has been tremendous growth in the sales of Android and Windows tablets this year. Apple's iPad shipments were 14.6 million, down nearly 14 percent this year. However Apple still retains its No. 1 status despite its year-over-year shipment slide. Samsung comes in second with the nearly 18% of the market share in the same period. AsusTek, which makes Google's Nexus tablets comes in third with 2 million tablet sales, followed by Lenovo (1.5 million tablet sales) and Asus (1.4 million) in total tablet sales this year. "A new iPad launch always piques consumer interest in the tablet category and traditionally that has helped both Apple and its competitors," said Tom Mainelli, a research director at IDC. "With no new iPads, the market slowed for many vendors." The tablet sales are expected to pick up in the last quarter as Apple as well as other vendors will be launching new products. 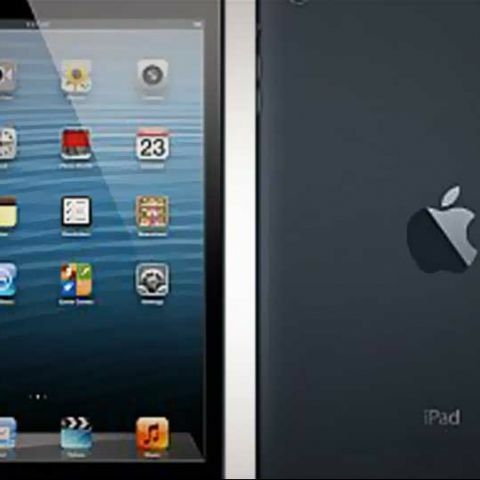 Apple is expected to come out with the new iPad, Amazon.com Inc. will add to its Kindle Fire line and Google Inc. may come out with a new 10-inch Nexus model.